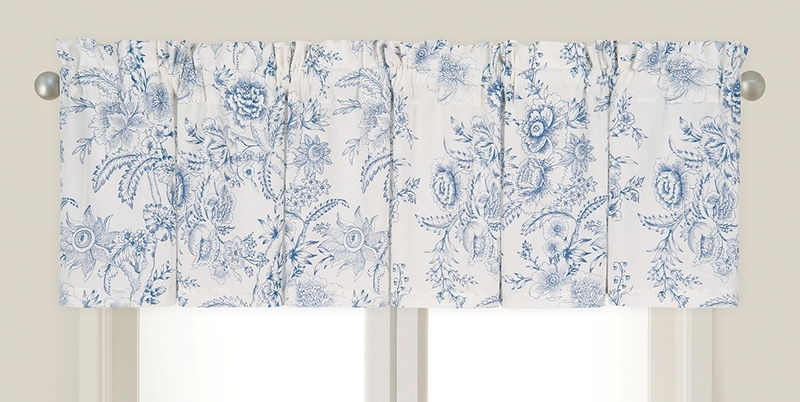 A country cottage inspired window valance in a traditional dusty-blue & white toile floral. Made of 100% cotton. Unlined.